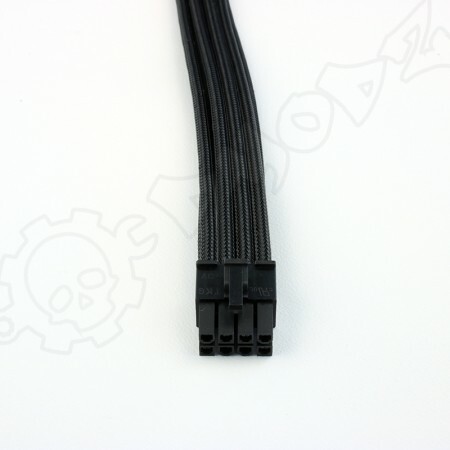 Our Premium PSU Extension Cables have been made to our design and to our high specification for an unparalleled look, using the highest quality products we could source. 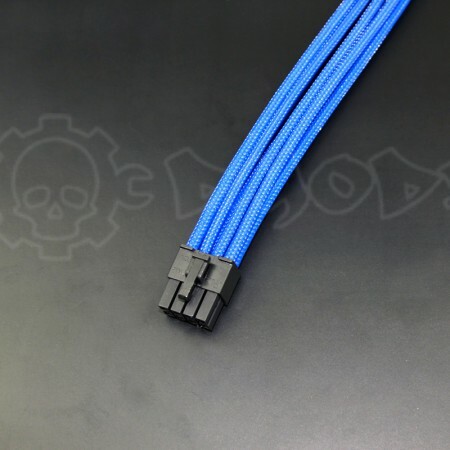 The benefit from incorporating these premium sleeved cables into your rig is not only aesthetics but enhanced cable management which is crucial for optimal airflow, keeping your PC cool. 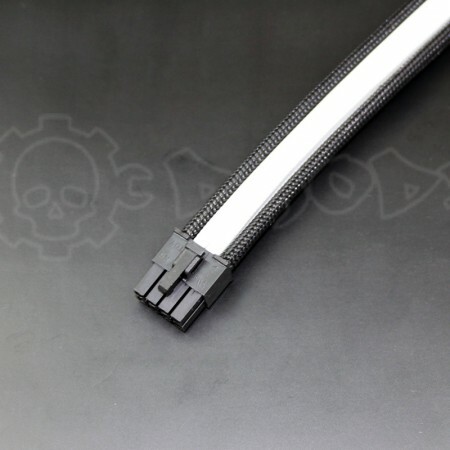 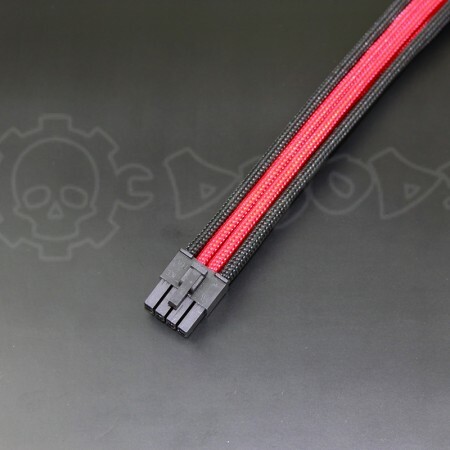 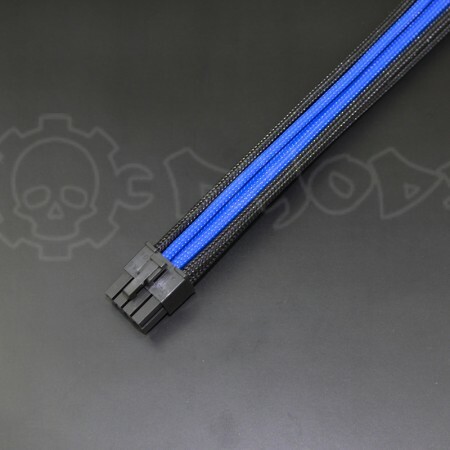 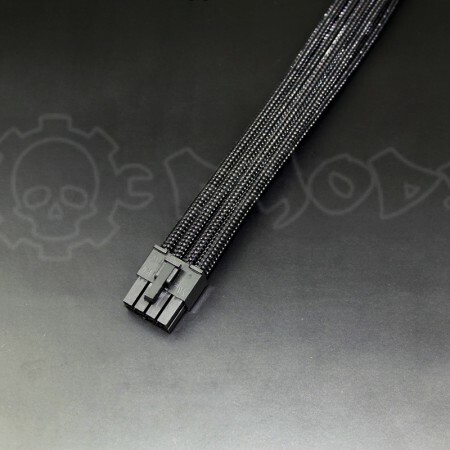 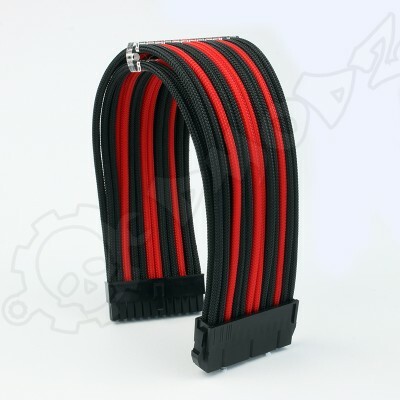 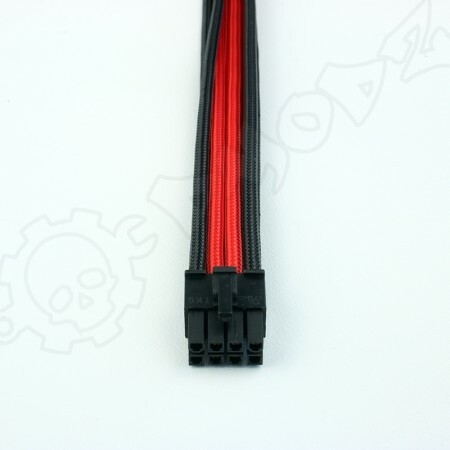 Paired with our Cable Combs these leads can add a great look for any PC and running at its best. 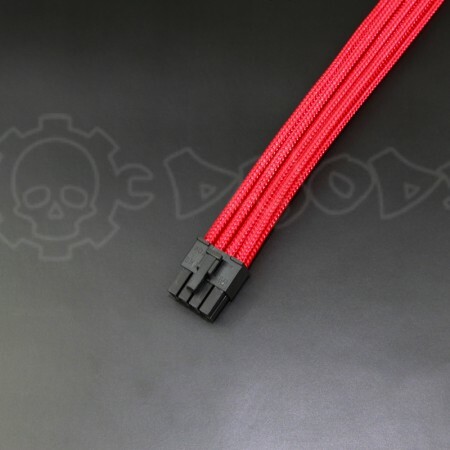 All cables are tested and inspected upon construction and tested again on point of dispatch by a member of our team to assure the highest possible level of quality control. 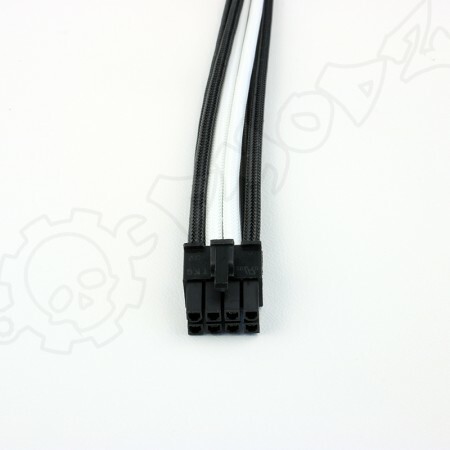 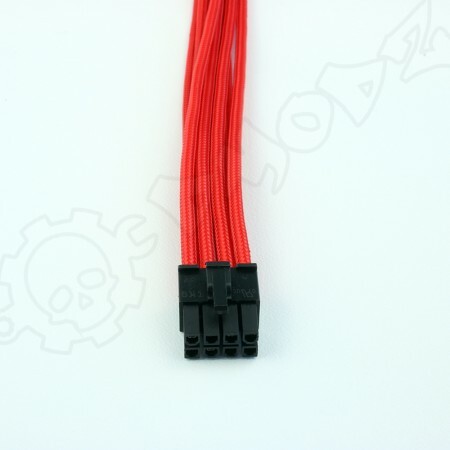 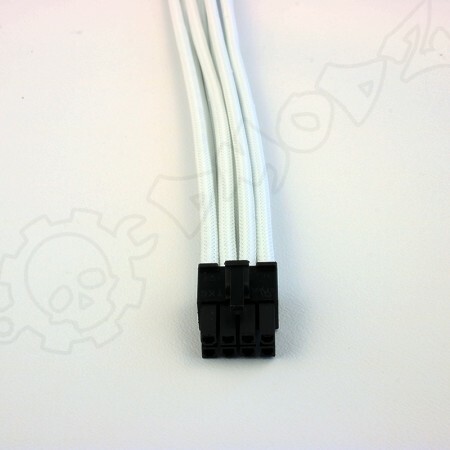 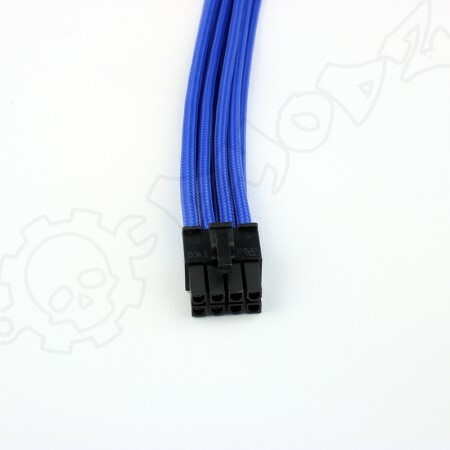 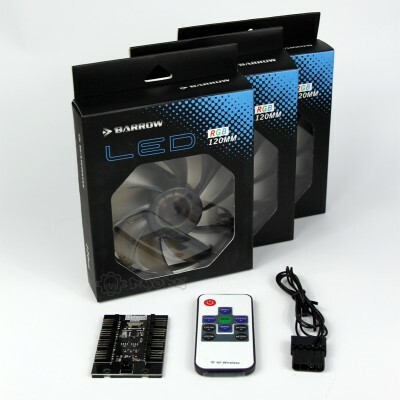 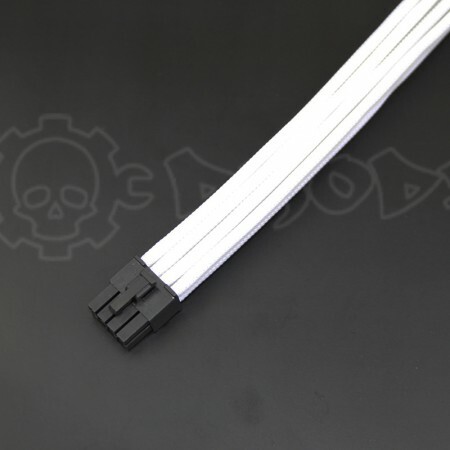 We sell two types of 8 Pin PSU Extension cables, 8 Pin EPS which is used to power the motherboard, and the 8 Pin PCI-E GPU extension cable which is used to power your graphics card, these two leads are not interchangeable, and the correct leads must be used, if you are unsure then please get in touch and we will be happy to help. 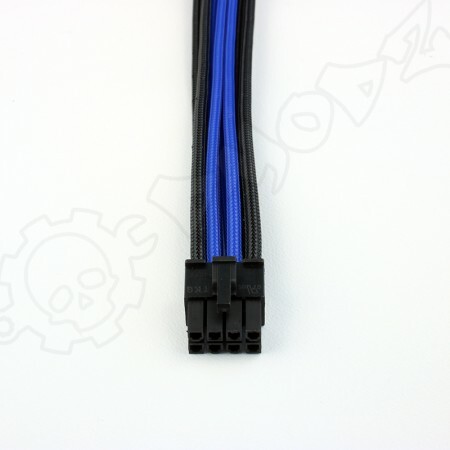 8 pin Black Blue EPS extension cabledmodz premium quality 8pin EPS extension cables are crafted usin..
8 pin Black Blue GPU PCIE extension cabledmodz premium quality 8pin GPU PCIE extension cables are cr..
8 pin Black GPU PCIE extension cabledmodz premium quality 8pin GPU PCIE extension cables are crafted..
8 pin Black EPS extension cabledmodz premium quality 8pin EPS extension cables are crafted using a h..
8 pin Black Red GPU PCIE extension cabledmodz premium quality 8pin GPU PCIE extension cables are cra..
8 pin Black White EPS extension cabledmodz premium quality 8pin EPS extension cables are crafted usi..
8 pin Black White GPU PCIE extension cabledmodz premium quality 8pin GPU PCIE extension cables are c..
8 pin Blue GPU PCIE extension cabledmodz premium quality 8pin GPU PCIE extension cables are crafted ..
8 pin Red EPS extension cabledmodz premium quality 8pin EPS extension cables are crafted using a hea..
8 pin Red GPU PCIE extension cabledmodz premium quality 8pin GPU PCIE extension cables are crafted u..
8 pin White EPS extension cabledmodz premium quality 8pin EPS extension cables are crafted using a h..
8 pin White GPU PCIE extension cabledmodz premium quality 8pin GPU PCIE extension cables are crafted..
8 pin Blue EPS extension cabledmodz premium quality 8pin EPS extension cables are crafted using a he..